In an unprecedented year-long project, astronaut Scott Kelly spent 342 days in space, whilst his twin brother, Mark, remained on earth. The aim: to assess the effects of spaceflight on the human body. The groundbreaking NASA study brought together 84 researchers from ten separate research teams, across 12 universities to create the most comprehensive study of the effects of space travel on the human body. The research investigated physical traits such as cardiovascular health, protein regulation, ocular degeneration and cognition, right down to a genetic level — even examining the effects on Scott’s gut bacteria and his telomeres — the ‘caps’ that prevent chromosomes from ‘fraying’. The results begin to fill in gaps about potential health consequences for astronauts who remain in space for longer than six months, and the effects of associated hazards such as exposure to radiation and microgravity. Thus far, the way these risks impact health during extended stays in space has been unclear, however. Francine Garrett-Bakelman and colleagues leveraged the opportunity to study this when Scott Kelly spent a year in space aboard the International Space Station (ISS) between 2015 and 2016. Meanwhile, his brother, Mark Kelly, a former astronaut himself, remained on Earth as a ground control. After a year, samples from the twins were compared to see the possible effects of spaceflight. Steve Platts, PhD, deputy chief scientist at the NASA Human Research Program, says: “The Twins Study provided the most comprehensive and integrated molecular view to date of how a human responds to spaceflight. The researchers discovered that there were no long-lasting major ill-effects on Scott’s body despite him spending almost a year orbiting at 400 km above his brother. They also discovered that many of the changes that did occur to Scott’s body returned to normal six months after his return to Earth. As Jenn Fogarty, PhD, chief scientist at the project, points out: “ “The Twins Study demonstrated on the molecular level the resilience and robustness of how one human body adapted to the spaceflight environment. Scientists collected blood samples, physiological data and cognitive measurements from Scott and Mark Kelly at various time points over 27 months before, during and after Scott’s one-year space mission. The samples from Scott during the flight were collected on the space station when shipments from Earth arrived on a Soyuz rocket and, that same day, shipped back to Earth on the rocket so that the samples could be processed within 48 hours. As Brinda Rana, PhD at UC San Diego School of Medicine, points out, even this had to be an operation of extraordinary precision: “ Blood volume drops in space and the astronauts are chronically dehydrated. These factors add to the difficulty of obtaining samples in space. These challenges have also highlighted the need for NASA to develop methods that allow astronauts to perform gene-sequencing ‘on the -go’ and may lead to exciting new research into portable DNA sequencing tools. The twin study provided NASA with a unique opportunity to use Scott’s twin brother, Mark, as a baseline control here on Earth. With Mark and Scott being so genetically similar, researchers were able to sift out changes that occurred to Scott as a result of his exposure to space travel from any changes that may have occurred naturally to the twins as a result of their genome. Dr Christopher Mason, an associate professor of physiology and biophysics at Weill Cornell Medicine, says: “It is likely that these two astronauts have been studied at a greater depth than any other person in history. 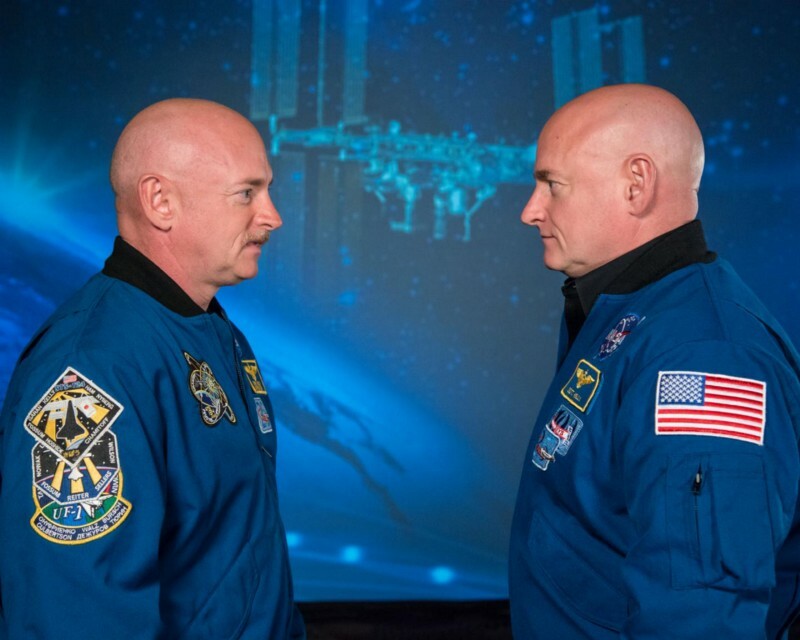 It should be noted, that due to the rarity of twin astronauts, the study has an extremely small sample size. As Andrew Feinberg, M.D., the Bloomberg Distinguished Professor of Medicine, Biomedical Engineering and Mental Health at The Johns Hopkins University, warns: “Since we only have two people in our study, we can’t say that these changes are due to space travel itself. In addition to this, as the ISS is in a low-Earth orbit it means that Scott was not exposed to the levels of radiation that an astronaut on a trip to the Moon or Mars would experience. The results, despite not being completely conclusive, point towards areas of interest that will be to be focused on if humanity is to embark on longer space missions — particularly a 2–3-year mission to Mars. Changes in the length of Scott’s telomeres — caps on chromosomes which scientists believe are responsible for ageing and ageing-related illness. Scott experienced dramatic shifts in telomere length dynamics, a biomarker that can help evaluate health and potential long-term risks of spaceflight. Scott experienced thickening of the carotid artery, thickening of the retina, and weight loss. As well as a reduction in cognitive abilities. There was some DNA damage: 91.3% of Scott’s gene expression levels returned to normal or baseline levels within six months of landing back on Earth. About 7% of gene expression changes persisted after six months on Earth. The majority of radical changes in gene expression occurred during the latter six months of the space mission rather than the first six month period. 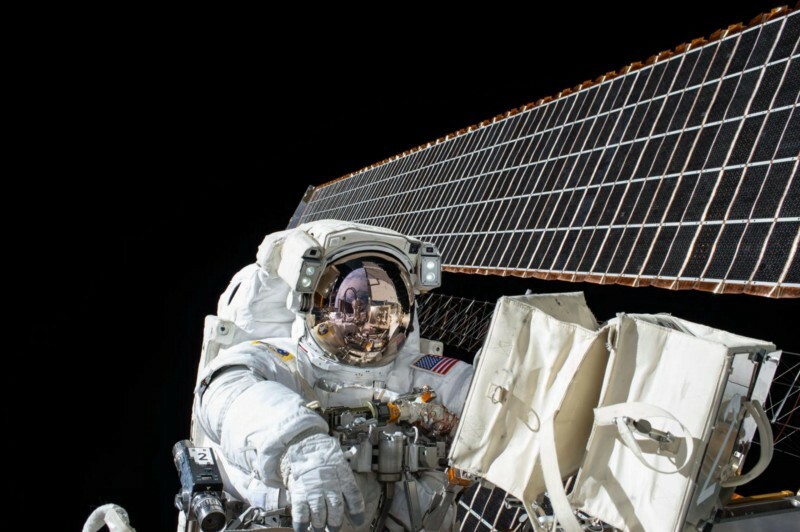 NASA attributed most of the key findings and effects to the stresses placed on the human body by spaceflight rather than an external effect such as exposure to radiation.